Warning: Raw thoughts. Sorry for the typos and the grammar errors. I don’t have time to proof read kasi. For the past 4 months that PBB is on air, feeling ko, housemate na din ako. This is the only season where I experienced waking up and sleeping at the same time the PBB Housemates does. And that’s all thanks sa Pasilip ni Juan Tamad. Pero kung ang PBB ay drama ng totoong buhay, allow me to share with you the the ‘drama sa likod ng chatbox’ or not exactly. Hahaha. 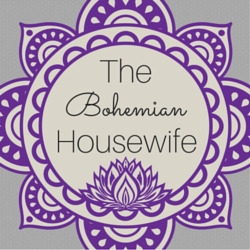 This is prolly my most informal blog since I started this blogsite 2 years ago. Kasi for the first time, I am talking using my two persona. Me and my other half… Valeria. Gusto kong tapusin ang PBB experience ko kasama sya, kasi for the first time in my existence, I was able to introduce that side of me sa maraming tao. This blog post is about the people who have been a great part of our life during the past three months. Gusto kong isipin na somehow, I have come to know a tiny bit of their personality. And for safety measure, napagdesisyunan naming na gumamit ng codenames. Hahaha! Just in case we weren’t able to give justice to their personalities. The code names doesn’t have anything to do kung ano or sino sila. We used all our favorite things as codenames. It is also written in no particular order. So without further ado, I present to you the people infront and behind Pasilip… ang tahanan ng mga chatters. BLUE. For me, Blue is the voice of reason in the chatbox. I admire how Blue has always been fair to everybody. Though at times, nakakainis din siya. Pero hinangaan ko yung lawak ng pang-unawa niya sa mga buhay nang taong pinapanood mo sa livestream. Hindi lang iyon sa kung ano ung napapanood mo. Tine-take into consideration din niya iyong mga bagay na posibleng hindi nakikita ng camera, at iyong mararamdaman ng mga taong involve sa tao sa loob ng bahay ni kuya. Late ko na sya nakasundo. But I guess, I really got to know Blue during the last few days both of us were active in the headquarters. Kasi doon ko nakita iyong negative side niya. At some point, na disappoint ako. But then narealize ko na itong mga negative na ito ay nagpapatunay lang na tao din naman sya. Blue is human, masyado lang siyang nahulma sa idealism na nakita ko sa kanya during those three months that I was active in the chatbox but that didn’t mean Blue is any less of a person dahil sa mga negative side niya na yon. In the end, I still like how Blue has been fair and not judgemental to anyone. Strawberry. When I think of strawberry, I think of green fields, lavishly red fruits and a sunny yet cold weather. Contradicting siguro na magkasama iyong sunny and cold na weather. Pero siguro it’s because somehow, ganon din si Strawberry. At first, confusing ang character niya. But as the days run along, I’ve seen how even though she tried hard to mask herself with the meanness and naughtiness she could muster, beneath lies a really good heart, and a soft person. Very open minded siya when it comes to arguments, other people’s opinion on her and even though when someone hurt her without giving her the benefit of the doubt, she just let it go with smile. She chose to be mature about the situation even though most of the times, she acts about five years younger than her age. I guess that was the point when she fully earned my respect. I could honestly say that she’s one of the reasons why I immensely enjoy spending time in the chat box. And we may not have known each other very long, but at this point in time, I can honestly say that she’s one of those I have learned to truly love and care about. Blueberry. This person was one of the two persons I have first chatted with. Noong hindi ko pa siya kilala at tatanungin mo ako kung ano sa palagay ko ang pinagkakaabalahan niya, I would have said, ‘she’s studying law and will be a very great lawyer’. How wrong I was. Hahaha! Which just proved that first impression is not always correct. Pero bakit ko ba nasabi iyon? Kasi I know several lawyers, and when I read Blueberry’s comments they do sound like a lawyers. Pati pagka pilosopo at pagkabalahura ng mga kakilala kong abogado kuha niya. But then, I realized hindi din siya talaga pwedeng lawyer in real life. Blueberry may come off as too strong and too opinionated most of the times but if I am to compare her, I’d say Blueberry is more like a dog who barks greatly but don’t know how to bite. I’m not saying na hindi siya strong. Kasi malakas talaga ang personality niya, but then, like a dog lies beneath a tenderness na makikita mo lang if you’ve charmed your way sa buhay niya. Iyon din siguro ang dahilan kaya mahal siya ng mga tao sa chatbox kahit ang hilig niya mang trip ng iba. Mallows. Noong sa Pasilip ko pa lang sya nakakausap, ang nakita ko sa kanya ay isang tao na maraming pinagdaanan sa buhay. Kasi kapag nag salita siya, you know na it was said from experience. Pero may mga taong na awkward sa kanya. Kasi masyado siyang straight forward magsalita. They even thought na feeling close daw siya masyado at ayaw siya kausapin till makilala pa siya ng kaunti. Natawa lang ako ngayong naalala koi yon. Kasi iyong nagsabi non, mas close na niya kaysa sa akin ngayon. Hahaha. Which kind of say na tumatama din naman ang mga first impression ko. Actually, mas madalas na tama siya. My instinct never failed me when it comes to people whom I should trust. And I can very well say that Mallows is one of the people in the group that I trust the most. Siya iyong tao na hinulma ng mga bagay na nangyari sa buhay niya. Matatag siya at confident dahil nakilala niya ang sarili niya sa mga bagay na pinagdaanan niya. At isa iyon sa mga bagay na hinahangaan ko sa kanya. Lilies. Bukod kay Jtbelles, siya na siguro ang pinaka-busy na tao sa grupo in a totally different way. Hindi ko sya gaanong kilala sa personal na lebel kasi nga masyado siyang abala parati. Pero noong panahon na isang dakilang lurker pa lang ako sa Pasilip, humanga ako sa abilidad niya to google everything in a matter of one minute, two minutes tops. Pero ayon sa kanya ay encyclopedia daw yon. Wikipedia siguro… or at least sarili niyang version ng Wikipedia. The thing I admire most about Lilies is her passion over the things that she like. And how her passion can ignite her to push herself to succeed. I can compare her to a ball of energy. Para siyang may adrenaline rush parati except that her energy doesn’t fade. Truffles. Nasabi ko na naman sa kanya kung ano opinion ko sa kanya. Pero kung tatanungin ako without the need to elaborate kung paano ko sya nakita as a person, I’d say, isa siya sa pinaka-sensible na taong nakilala ko. Hindi nga lang masyadong halata. But with Truffles, it’s okay to talk about anything under the sun. I appreciate how Truffles can be straight forward sa mga opinion niya in a way na hindi naman offensive ang dating sa iba. Alam din niya when to put a wall na tipong, “oops hanggang dito lang yung joke ko dapat or iyong opinion ko” otherwise it’ll be crossing boundaries on other people’s feelings. Respect and Open-mindedness. Iyon ang mga bagay na alam nya kung kalian dapat ilagay sa sitwasyon at ibigay sa isang tao. And because of that, Truffles has earned my respect. Masasabi ko rin na siya iyong glue that holds everyone together. Ewan ko ba, kahit minsan sinabi ko na si Truffles lang naman sya and it shouldn’t matter that much, it do matter that much. I also admire how Truffles showed genuine concern to everyone else, even though most of the time, they don’t notice it. If Mallows and Strawberry are Shy’s favorite people in the group, Truffle’s is definitely Valeria’s favorite. Parker. Just to be clear, it means Parker the pen and not some Korean actor or character. Anyways, Parker was one of the earliest I’ve been closed with in the chat. Partly siguro was because we were both outsiders, or plain chatters then. Kumbaga, sampig lang kami sa bahay ni kuya at hindi pa official housemate. Many things have happened since then na pag binabalikan ko, parang hindi tatlong buwan lang ang lumipas mula noon. Pero kung may hindi nagbago sa opinion ko sa kanyan noon at ngayon, it’s the thought that Parker is a cool person. We might have come to a little misunderstanding and awkwardness along the way para magbago iyong pakikitungo ko sa kanya, but it wouldn’t negate the fact that Parker is a good person. Minsan nga lang, mali iyong paraan ng pagpapakita niya ng concern. Pero tulad ni Blue, those things were what made Parker human. Pagkakataon ko na rin siguro ito to tell my apologies. I know malaki iyong kasalanan ko. In my defense, I’m naturaly crazy. And that craziness gives me room to look at things differently and read people differently. At dahil din doon, hindi nag ja-jive iyong opinions naming sa mga bagay bagay. Which made me think na if we come across another misunderstanding, I would be judged the way I wouldn’t want to be. Kaya I put a little distance. Pero hindi naman binago niyon kung ano iyong mga bagay na hinangaan ko sa pagkatao niya. Like being really cool, trying to understand even in a totally different way that most people wouldn’t really get, the concern for everyone else. And despite all the negative side of you that I came to see, these positive side of you still overrode all of those. Snickers. One of the most talented person I have the fortune of meeting even just online. The first time nan aka-usap ko siya, ang balashubas niya sa akin. Pero hindi naman ako na-offend. Kasi for some reason, magaan talaga ang loob ko sa kanya. And getting to know Snickers a bit deeper proved why that feeling was there the first time we talked. Minsan lang din siguro, masyado siyang prangka to the point na offensive na sa ibang tao. But that’s what I appreciate about Snickers the most. Hindi mo kasi kailangan na i-guess kung paano siya pakikitunguhan. That straightforwardness showed the honesty used to mingle with everyone else. Kahit na minsan, ang brutal talaga ng dating. Lavander. Hindi ko pa nakausap si Lavander ng anything personal or iyong kaming dalawa lang. Most of our topics have something to do with PBB. Or about someone else in the chatbox. She’s someone na parang ang gaan ng mundo. Isa iyon sa mga bagay na gusto kong masubukan sa totoong buhay, iyong maka-hang-out sya. Para naman hindi ako puro theories at para na din ma disprove ko iyong ilang reservations ko about her. Hahahaha. Pero the thing I admire most about her is that, she’s not the type of person to brag. She’s been to many places, seen a lot, experience a lot, pero you wouldn’t see her act as someone who know it all. Kapag nag kwento siya, alam mo na nag kukwento lang siya talaga. Pero like everyone else, may negative din sa kanya, at iyon ay, wala siyang train of thought at madalas masyado siyang childish. She must have a lot of things going inside her head lang din siguro. Tipong everything is taken at face value. Pag naisip niya, kahit hindi kasali sa usapan, sasabihin niya. Noong una, it caught me off guard at times, pero ngayon, part na iyon ng mga bagay na I learned to like about her. Nachos & Cheese. Cheese always works wonders on nachos. Kaya siguro the two of them are good to go with each other. Sila iyong pure good vibes lang ang dala sa grupo. Difference in time zones made it almost impossible for me and nachos to get to know each other but I don’t feel any bad vibes from this person. Minsan lang pag magkasama sila, idagdag mo pa ang isa sa nasa taas, masakit sa ulo din ang pure goodness na dala nila. Hahaha! Para ka kasing sinagasaan ng adrenaline rush kapag silang tatlo ay sabay sabay mong nakausap. At mas lalong para kang sinagasaan ng adrenaline rush kapag sabay sabay kang napagtripan ng tatlong ito. But because of them, there’s always reason to look at things lightly and brightly. Pringles. Among everyone else, I think we started on the wrong foot. At some point of this behind the chatbox story, I felt like we didn’t like each other. Pero siguro, it was prejudice on my part for judging her base on what I thought happened. My bad. But the past few days, I’ve learned to get comfortable with Pringles a little more. Nakatulong siguro na, aksidenteng na-witness ko ang ibang bahagi ng personality niya. Hindi siguro siya iyong tipo na magiging bff ko kasi we have different ideals and outlook sa buhay. Pero iyong differences naming sa isa’t-isa na iyon ang dahilan para mas ma-appreciate ko siya. I love dealing with people who thinks differently than I do, sees things differently than I see. Pero kung kalokohan ang pag-uusapan, I think we’ll be good partners in crime. Champagne. Ang taong ito, bihira ko lang makausap pero a lahat ng pagkakataon na nagkausap kami, may sense naman ang mga pag-uusap na iyon. I believe that you can really get to know a person by the way they talk. Kasi, kahit mag pretend ka, at some point you are bound to get a slip of the tongue. Pero siya, kahit madalas parang mas gusto niya na ilabas sa ibang tao ang boredom niya, when you get to talk, you can see the sensible and reasonable person underneath. And a very intelligent person too. Champagne proved me that, differences in opinion is not a hindrance for two people to get along. Pizza. Pag siya ang kausap ko, nakakalimutan ko na halos kaedad ko lang din ang kausap ko. Namali yata sya ng henerasyon ng pagkapanganak (and I mean that in a positive way). Pizza is someone who is truly young at heart. Makikita mo yon sa kung paano niya na pe-perceive ang mga bagay bagay. Pero tulad ng isang bata, there’s the beauty in the way she she’s life that only a child does. Carefree and natural. Minsan lang siguro name-misinterpret ng ibang tao iyong katangian niyang iyon. I love her confidence among other things. Hindi ko masasabing kilala ko na siya talaga kasi we’re more on hi and hello lang din. But I’d love to get to know her more. UstreamerXXXXXX. Hindi ko in-expect na kasama sya ditto, pero sabi ni Valeria, isama daw kaya sige. Hahaha! Well, hindi siya nandito dahil nan-troll siya in one of his/her drunken state. Pero may sinabi kasi siya na as someone who is a frustrated writer, ay na-appreciate naming talaga. Sorry, hindi kasi ako sanay ng nato-troll kaya hindi ko alam kung paano mag re-react then, pero gusto kong kunin ang pagkakataon na ito na magpasalamat for appreciating the blogger/writer side of me. Nothing beats knowing that somebody actually read your works. Hindi lahat ng tao nakita iyon. And the fact na alam mo iyon, totoo man ang mga salitang binitawan mo or maybe just empty words to say something nice, salamapat pa din. Kasi those words had helped me gain confidence worth a few manuscript about to be written. Madalas iniisip ko kung paano kaya nila ako nakita the past three months. One thing I am sure, they all think I am crazy. And I am. Pero may mga point siguro na nainis sila sa akin for being maldita at times, too opinionated and sometimes annoying. I imagine them na siguro pinagtataasan ako ng kilay. Naiinis at kinaasaran. Kasi I know naman how I can get irritating at times. So thank you for putting up with those. Pero hindi din maitatangi na madalas nila ako pagkatuwaan. Feeling ko tuloy naghihiganti sila. Hahaha! But I’m good. It’s been really fun. And here is where it ends. The past three months… almost four had been a fun filled journey for me because of you guys. Thank you for being there when I needed a friend when the ones I have are a little too far. Thank you for all the advices, even if sometimes, I am not really asking for it. Thank you for forcing me to face a ghost that I really don’t want to face and at the same time helping me realized that I am really free of that ghost. Ayaw ko lang tanggapin. You guys are a blessing. I never thought chatting is something that I’d enjoy but I did, immensely and that’s because of you. This is the happiest PBB season for me. And in behalf of Pasilip, thank you to all the chatters who have shared those almost four months with us. Thank you for the arguements, the discussions, even the landian part, the nonsense, the exchange of thoughts about the show, the just whatever talk, you guys are amazing. Especial thanks to, JezerBrad08, Atotskie, Ryuxxx, KuyaTol, Jkarish, iloveshyunique, Cruzxxx, Destiny143red, startwinkle, macmacako, Pattssyy, makemywish, marjiepooh (thanks for the trust girl) who have made me look forward to logging in the chat box. Our paths crossed because of PBB, I can only hope that it won’t end when PBB does. In behalf of Team JuanTamad, we thank everyone who have joined us in our poll. Big Brother house is like a pressure cooker. Every little thing is magnified to test each housemate’s personality to reveal their real selves. Recently, that pressure inside the Big Brother house was doubled. Whoever cracks loses the battle. The recent test of characters that was meant to shake them did its job and it is now evident who should belong to the big four. The following statements are my opinion regarding the recent challenges and why they deserve the spot in the Big Four. Kasi si Jane yung dumaan sa pressure cooker na hindi nag crack-up. Mula doon sa time na pinagtulungan siya ng mga housemate na masyadong self-righteous hangang sa mga hamon na walang pumipili para kampihan siya, naging matatag sya at nanatiling hindi natitinag. Others would have volunteered to exit the house given the same situation, but Jane, she cried, got hurt, moved on and remained standing strong. Ang PBB ay labanan ng personalidad. The best thing about Jane is that, she didn’t let the negative things get her and she doesn’t hold grudges to her housemates. Kapag masama ang loob niya, pag naitulog, at naikain niya at narinig ang paliwanag, wala na lang sa kanya. She fought and she conquered without losing her sense of self, her principle and without stepping on other people. That’s why for me, no one else deserves to be BIG WINNER other than her. Dati, palagi kong sinasabi na ang housemate na late pumasok ay hindi dapat nasasama sa big four. Kasi unfair. Pero Daniel proved me wrong. Mas marami pa si Daniel napatunayan kaysa sa iba na nandoon sa loob who stayed longer. He always gave it his best shot – task, chores and even mingling with his housemates. He give advice to others, what to him will help them keep fighting the battle with him. Na-turn off lang ako sa mga panunumbat niya kay Vickie ng mga bagay na ginawa niya para dito, pero pinahanga niya ako when he admit how gravely mistaken he was and how truly sorry he was for acting like that. Wala namang perpekto. At least he was true to what he was felt. Walang kaplastikan sa katawan. Kapag masama ang loob, masama ang loob. At marunong mag –sorry ng sincere sa alam na naging pagkakamali. I’d never thought that I’d see Vickie to be someone deserving to be part of the BIG FOUR. Gustong gusto ko na siyang matanggal matagal na panahon na ang nakakaraan, ang tingin ko kasi sa kanya ay isang magandang wall paper. Peron na-realized ko na mukhang ganon siya kasi hindi palaban iyong aura niya. Hindi siya confrontational. Pero hindi nangangahulugan iyon na wala siyang character. Tahimik lang siya masyado kaya hindi napapansin na binibigay naman niya ang best niya sa mga hamon ni Kuya. The last challenge before the fake eviction showed her as someone who keeps fighting despite her incapability to do a physical task. It’s not really about winning it all the time but seeing the challenge to its end. And I admire that she didn’t give up. And lately, I appreciate how she stand firm to her opinions even if it’s not the popular one or even if it meant to contradict somebody else. For once, she’s not just a wallflower anymore. She’s a wall, standing firm and strong. Actually I only have a Big Three. I’d be okay with any of the remaining. Pero kasi dati si Maris sana. Pero kahit ayaw ko kay Joshua, tingin ko mas deserve niya ang pwesto na ‘to kaysa doon sa dalawang natitira. Bakit? Si Joshua kasi, ayaw ko na maging big four sya dahil sa ugali niyang tamad, player, feeler and user. Oo, iyan ang tingin ko kay Joshua. Ipinaglaban pa ang katamaran. Others would say he didn’t become a housemate for the chores. The thing is, it’s not about being lazy or not, it’s about being responsible. Bilang isang housemate, ang pag gawa ng mga gawaing bahay ay tanda ng pag respeto sa may ari ng bahay, pakikisama sa mga taong naroroon na ginagawa ang bahagi nila at ang higit sa lahat ay pagiging isang responsableng miyembro ng bahay na yon. Hindi mo pwedeng sabihin na tamad ka at yon ka at kailangan tanggapin na lang nila yon. Traidor din, matapos magtapat kay Jane at hindi nakuha ang sagot na gusto, wagas na mailaglag si Jane. Pero that aside, may mga napatunayan naman si Joshua. He showed the world that he can win it he give it his best. Mali lang na ginagawa niya lang iyon sa bagay na gusto niya. Pero kompetisyon pa rin naman ang PBB. At kung ang ganap lang ni Joshua sa buhay ay manggamit ng kasama para i-angat ang sarili at pag sikapan na manalo sa all out task para hindi manominate, aba’y sige, ibibigay ko na sa kanya ang pwestong ito. Si Maris. Ang daming nagsasabi na siya ang mahigpit na kalaban sa Big Four. Dahil ano? Dahil matagal na siyang hindi nanonominate at maraming imbak na pamboto ang fans niya? Dahil lagi siyang trending sa twitter? Dahil maraming naaliw sa kanyang pagkanta? I still stand to my belief that PBB is never a talent show. Ano na lang ba si Maris pag wala ang gitara nya? Kasama nga ang gitara niya nag fail pa siya. That Big Concert task was a big disappointment for me on Maris’ standing on my list. Kumanta at gitara na nga lang ang kaya mong gawin, pag dating don sa task na mag excel ka dapat nag sintunado ka pa. At kagabi, after noong Big Bida awards, noon ko higit na napatunayan na maski sa personality hindi mananalo si Maris sa totong kahulugan ng PBB bilang reality show. Another disappointment was when she cried on Daniel. She comes off to me as someone seeking for sympathy. Simpatya para sa taong trinaidor nya sa botohan. Ni hindi niya nagawang panindigan ang pakikitungo niya kay Daniel. Sa bagay ano bang aasahan ko? It was not the first time, she did it to Loisa too. She would throw anybody off the boat to save herself. Plastic. She’s always being chummy with Jane when in reality she was bitter with the nomination that has happened. Never tell its okay if it’s not. Sabagay, it’s a competition. She said she’s not competitive but now I see she has her own strategies too. Si Loisa. Hindi ako hater ni Loisa. I will never be. Pero lately nakakainis ang inaakto niya. Nakaka- confuse ang ugali niya. The thing about Loisa, I think she’s good at silently manipulating people. Bakit ba inis na inis ang mga ex-housemate kay Jane? Kung babalikan natin ang pangyayari, iyon ay dahil sa pag iinarte ni Loisa dahil sa paglayo sa kanya ni Joshua. Tapos ngayon, back to square one. Akala ko tapos na ang “Joshua the Torn in Loisa and Jane’s PBB Life Saga”, hindi pa pala. Apparently, sa nakikita ko, si Loisa ang totoong may gusto kay Joshua at si Loisa ang totoong nagseselos sa naging closeness ni Jane at Joshua. Kaya ang plastic ng pagsasabi niya na wala lang yon sa kanya at wala lang sa kanya si Joshua. At mas plastic na palaging pag kaharap si Jane okay lang, pag nakatalikod ang daming opinion. Loisa needs to grow up and move on. Pero kung talent show ito, I’ll go for her and Maris to be part of the Big Four. She sings well. I’d say she even sings better than Maris. At kaya hindi niya kayang sabihin kay Fifth na deserve niya maging Big Winner, iyon ay dahil sa loob niya mismo, alam niya na kulang pa ang napatunayan niya. PBB is a competition of character and personality. Hindi lang ito basta kung nagpakatotoo ka. Ito ay labanan ng pagpapakatotoo habang dinadaanan ang mga hamon ni Kuya. Hindi lang dapat na nanalo ka sa mga hamon, kailangan naipakita mo na natuto ka rin. Jane, Daniel , Vickie I chose them as my Big Three because they have shown their selves, see the challenges through its end and most of all I see them growing to be a better person inside the house. Sila iyong mga taong nakita ko na nakisama, hinamon, nasaktan, na-disappoint, nainis/nagalit, pero bumangon at ibinigay iyong 100% ng kakayahan nila para ipakita sa mundo kung ano talaga sila. No holds barred, no reservation and most of all, they did it without losing their selves and their principles in the process. This is probably the only season of PBB that I have been this involved and attached. Well it’s also because it’s the only season that I am able to watch the show live 24/7. You can hardly call it 24/7 because of all the times the logo was on standby. Today, I would like to share my analysis of the remaining housemates based on what I’ve seen on the live stream. And to all who’ll be reading this, I extend my disclaimer to all of you. All succeeding statements are my opinion based on my observation of the show. I tried to be very open–minded when writing this so I hope you’ll do the same as you read through. At this point of the show, I believe that all of the remaining housemates have been true to their selves. After all the tasks, challenges and pressures that they have gone through, I do believe that they have bared their selves to the public thus making all of them deserving to be part of the Big Four. There are however, some who deserves it more than the others. Not because of not being real but because these people are more fearless to baring their characters and staying true to that character, even if they know they will be judged and hated not only by the people outside but also by the people they share a roof with. Vickie Rushton. I admire her beauty. The Lady Mahinhin of the house was indeed an embodiment of those words. The only problem with it was that, she’s too quiet and too ‘mahinhin’ that I hardly notice her. She’s like a decoration floating around the house. But then again, that was probably because she was overshadowed by the other housemates with strong personality (Aina, Michele etc). I believe she was able to express herself more when these housemates were gone. And this act of self-expression was both in a good and bad way. I’ve seen her became more responsible with the tasks and the chores when all of the other Ates were gone. She even learned to talk more about herself and about her showbiz boyfriend Jason Abalos, earning her haters in the process. Like what Vice Ganda said when he entered PBB, I don’t think there’s anything wrong in having a crush on somebody else even if you’re in a relationship. It would only be wrong if you act on it that would result to unfaithfulness. I couldn’t even care less if it’s true that she like Daniel Matsunaga. But I find it offensive for Jason Abalos for her to talk about her complains on the relationship they have on national television when his boyfriend doesn’t even have an idea she was feeling that way. That was just too personal and something that should be left and discussed in private. Manolo Pedrosa. I think Manolo was the housemate who was hyped during the show’s kick off simply by being Chinito. Apparently, his feel inside the house is about as big as his eyes are opened. The only shining moment I could remember about him was the lapis task which was ages ago. He’s like a drift wood in a river that just goes with the flow. And oh, yeah the recently concluded ‘The PBB Big Concert’ was also a shining moment for him. These couple of task has shown what Manolo can achieve when he is powered by determination. Who would have thought I’d ever enjoy seeing Manolo dance? That dance number was one good surprise that made Manolo’s standing on my book went up a notch. And yes, the budding romance between him and ex-housemate Nichole was something to look forward to once the show was over. Daniel Matsunaga. The Hunk of the World – a tagline that suits him very well. However, he’s too much of a hunk already that I think he seriously needs to stop obsessing on his work outs. They’ve been eating vegetable for weeks that he lost so much weight he is now all muscles and it doesn’t suit him anymore. He looked way better when he entered the house than he is now. Beyond his physical attributes though, his being responsible with the chores and seriousness to succeed each weekly task was admirable. I think his best shining moment was during that kasambahay task when he chose to stand up with the teens. It was during that moment that the world was given a glimpse of the tender person that lies beneath those hard muscles. There were times however that I find him acting all-knowing during their task. When through his actions he’s delivering the silent message, ‘we could have done it better if we did it my way’. Aside from being Mr. Know it all at times, I don’t have anything against Daniel. Maris Racal. For me, she’s the Filipina look alike of Kobayashi Ryoko, a Japanese actress I love. That’s how she caught my attention. I admired her during the first couple of weeks in PBB. However, as time went by I slowly lost interest in her. She lacks personality that was usually found from previous PBB seasons. She’s not competitive, she’s not even confrontational. She just go along with what the majority decided even if it’s not what she truly think it should be. That guitar task she was recently given, though many would say it was a bit unfair and too hard for her, for me it was exactly what Maris needed. For once, I’ve seen that there’s more to Maris that just another driftwood floating around. For once she had shown that she could push herself to achieve what might me an impossible task for her if she gave her effort and work an extra mile. So yeah, maybe she just needed more opportunity to show the world what she’s made of. As of now though, I still wish she could show more of herself. The recently concluded PBB Big Concert was another bout of disappointment for me. I expected her to shine during that task. It was after all what she’s all about inside the house – an entertainment. But she failed when on the first production number her voice sounded flat, that performance with her family was too fast and her emotion was all over the place that it was distracting to watch and once again another flat and out of tune for the next numbers. Yes, she probably needs more workshops. But the thing is it was a task, and the audience was not even a crowd but three people, I expected her to rise up to that challenge with flying colors. You might contest though that I just expected too much from her and I probably did. But their PBB journey is almost over, she should grab every opportunity to show the world that she’s not just about face, nor singing and dancing, it high time to prove that she has character worthy of being called a Big Brother housemate. After all, that’s what PBB is all about. Loisa Andalio. If Manolo was hyped during kick-off, Loisa was the most judged and hated simply because she answered Bianca’s question about what she like in a guy before she entered the house. Personally, I think a lot of people have been harsh to her even before they even get to know her. Then the issue about the ‘kuto’ and Joshua being too close came, earning her haters and the ‘higad’ comment. I’m neither her fan nor a hater but I think those words were just too harsh. To take that kuto against her was just too much. Just like what Aina said, “Huwag kang umiyak, Loisa. Kuto lang yon.” It was unfair to be bashed like that just for something most kids went through. And seriously, I don’t think that thing with Joshua was malaswa or ‘Maloishua’ as others coined it. I even find it cute. However, I could never understand the need to always talk to other housemates about Jane behind her back. She did it with Nichole, and when Nichole was out she did it with Vickie. While I think it was unfair the way people have judged her, I also find it unfair the way she judged Jane when she never really opened her door to get to know Jane. For some reason, I don’t think it will ever happen as long as Joshua is in the house. Joshua will always be that wall that will come between Jane and Loisa. I wouldn’t want to comment about that knife issue because I wasn’t able to watch it, I do hope though that PBB airs it even just for the sake of clearing the air. I only wished Kuya was a bit fairer with the others. I never seen her got punished for breaking the ‘house rules’ when she has clearly broken so many. It was a disappointment on the show and not really to her. It earned her the title “Favorite ni Kuya” and honestly I can’t blame the viewers for thinking so. Disregarding how different Loisa treats Jane infront of her and behind her (you PT viewers probably don’t have an idea what I’m talking about), disregarding her laziness at times, and disregarding her unexplainable relationship with Joshua (because she always say she find Joshua irritating but still she’s always beside him getting playful with him) I honestly think Loisa is worth watching. I find her character interesting enough to understand why she made it to being a housemate. She’s even funny at times. Plus she’s still young. Her actions are that of a typical fifteen year old that needed guidance. I would love to see Loisa bloom into a much better person once maturity started to grow on her. With Loisa, I hate the acts but not the person. At this point, I just wish she would stop singing ‘Oh Mickey’ and that Jeepney song. Fifth Solomon. The turtle that came out of the shell. From the earlier weeks, I admired how Fifth was not afraid to speak his mind. Plus his jolliness and positivity is very contagious. He smiles when he’s happy, scream when he’s afraid, confront others when he needs to not caring if he looks stupid doing so or if other people think it’s annoying. I think it’s his turtle self that got me. Unlike the turtle though who seem shy, always hiding in its shell, Fifth was the turtle who was made strong by the heavy shell he carry on his back. To bare yourself to the world the way he did was not easy. I could imagine how scared he must have been but he was able to surpass that. I even felt that that comment that pressured him to come out was not a comment from people outside but from the show’s staff in order for him to reveal his unspoken identity. I almost hated Big Brother for giving Fifth that kind of pressure. I must say that Fifth had surpassed that phase of his life with flying colors. Fifth is someone who is not afraid to show his emotion. That made the difference between him and fourth. Because of Fifth Solomon, I don’t think I’ll ever look at a turtle the same way again. 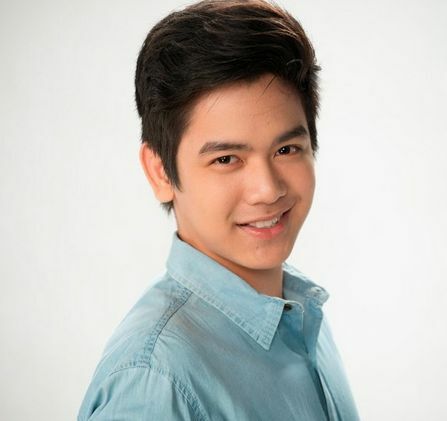 Joshua Garcia. Many say that Jane was the most controversial housemate of this season. I beg to disagree. I would say it’s Joshua who’s really controversial, and Jane was the fall out person of those controversies. I initially like Joshua, when he was just Joshua the probinsyano guy. I admired his ability to forgive his parents for what they did when he was a kid, I admired how he managed to see life in beauty despite those bitter chapters of his life. I liked how when everyone think Loisa was ‘kadiri’ because of kuto, he just shrug if of as nothing because he once had it too. I liked him when he stayed true to Jane and accepted her as a friend even when others closed their doors to getting to know her. Those traits of Joshua made him truly admirable. However, it seems that things got out of hand when his feelings for Jane went from being friends to something more. I honestly think that his playfulness with the girls (most especially Jane) was not something to be really bothered about. It just became a fuss because the older housemates think it wasn’t right based on their standard of what was right. I’ve watched previous seasons and seriously? I think what Joshua and Jane, or what Joshua and Loisa have between them was totally nothing. It’s just that, the other housemates were being too self-righteous and too condemning just because they are older and they believed that they knew better. For me this touchy issue was really nothing. It was just played up ugly on primetime that people put malice on it. The proximity of people inside the house were not really what you will say normal. So what’s normal outside can’t be really applied inside. For as long as they know what they are doing, and what they are getting into I think the problem was not really with the housemates but with the viewers. I am not saying though that everything Joshua did was okay. I hated when he was being too possessive and overly jealous. Girlfriend or not, it was very selfish to limit the circle of other people just for the sake of your feelings. That was where Joshua stepped out of his boundaries. And I don’t even think Joshua is really in love. More like he’s in love with the idea of being in love. I’m not saying that it’s not possible because he’s just sixteen. I’ve seen it happen to my friends, from being high school sweethearts when we were sixteen to getting married when we were twenty six. It’s not because they are inside the house too. You and I have seen it happen that true love can indeed be found inside the house. But Joshua is just another teen ager. His previous relationship has proven that he’s still too young to handle a relationship. He still has so much room to grow, so much to explore in his life before he could be sure of his feelings. I also think he should stop assuming Jane’s stand on this matter. The recently concluded task for nomination has proven that. Why Loisa? In as much as I want to understand his reason for doing so, I just can’t comprehend it. Choosing Loisa after telling Jane he loves her. What is his point exactly? This early he is already contradicting his words and his action. Plus his being lazy is absolutely annoying. I hate that he knows he is lazy but doesn’t really do anything about it. They’ve been inside for months already and his maturity was still the same from when the show has started. Did he not learn anything at all? I think it’s high time for Joshua to do some self-reflection and try to fix his own self before he fix his part of life that involve somebody else. Jane Oineza. The housemate that earned almost every other issue inside the house. People say that she’s too ‘touchy’ and malandi because of the proximity she has with Joshua. I, on the other hand think that she’s been harshly judged based on our parameters of what is right and what is normal. In her showbiz world those actions were no big deal. It was just our malicious minds that put a different color to those actions. As I’ve said above, previous PBB housemates have done so much more. I previously wrote something about Jane that at this point, I feel it would be bias to say more. But then I do love Jane. And it’s not because she is a celebrity but because of what she is underneath her celebrity status. She’s very simple and humble and the love she has for her family is overwhelming. I like it when she said that she wants her suitors to meet her parents first. That showed how much she respected her mom and dad. She has proven how true she is inside the house numerous times. That task where she didn’t choose any one, was commendable. And I am honestly thankful she didn’t choose Joshua. I may love Jane but I’m not blinded of her faults inside the house. Yeah, she probably should have exerted more effort to reach out to the other housemates even if she felt they didn’t like her. When you walk a mile and nothing has happened, walk the extra mile. But it’s probably too tiring on her part as well, continuously reaching out to people who didn’t want to be reached and accept you for what you are, that was tough. And yes, I do hope she would stop getting near Joshua. Her reputation preceded what she really is because of her relationship with Joshua. It time for her to see that Joshua doesn’t want friendship and she should be straighter with him so he would stop assuming things. I sometimes wish she could just be straightforward about it and tell Joshua no. Her being too nice to Joshua is causing all these confusions and false hopes to the people outside who believed that she and Joshua do have ‘something’. Still, it is admirable how Jane manage to rise up amidst all the challenge, pressure and issues she had been through. When I try to put myself in her shoes, I imagine myself just doing a voluntary exit and say ‘to hell with all of this’. But Jane, she’s been in the crucible of the judgment of her house mates and the people outside yet she managed to shine through. Where ever her PBB journey leads her, one thing is definitely sure; she will shine like a diamond, polished and made perfect by all the cuts she had been through. Their PBB journey is almost at its end. For the past three months, they have given us a roller coaster of emotion. We cried with them, get annoyed with them, rejoiced with them, love some of them, others hated a few of them. Now that the battle is almost over, how it ends is left in our hands. I have given more than my two cents about all of them along with my support and understanding. All I can say now is, PLEASE VOTE WISELY! I haven’t blogged in ages but today, please allow me to take a moment and talk about one of the personalities from the most famous house in the Philippines.. the Pinoy Big Brother house’ (All In Edition) very own Jane Oineza. I haven’t been this passionate on the show since PBB Season 2. So why Jane Oineza? Before she entered the PBB House, Jane said in an interview that she wouldn’t change herself just so people will like her. And I learned to like her as the show went on because I saw how she’s been true to these words. Life in the Big Brother house was not easy for Jane. Issues after issues were thrown at her feet that the show was even tagged to be “PBB Jane Edition”. It was however very admirable that this young lady remained true to herself; even when it would have been easier to just act the way her housemates wanted her to be. She defied the odds because she believed she didn’t do anything wrong. Many of her housemates said she was being fake because her words were always contradicted by her actions. I beg to disagree. What I saw was a woman who was torn between acting base on the logic of her maturity and the teen in her that she never really had time to experience being home schooled and growing up in the business. I saw someone who was socially awkward because she didn’t know how to be the teen that she is and mingle with teen agers who act as teen agers. Having Alex inside the house didn’t make it any easier either. I think that part of the prejudice she received from her fellow housemate was because unknowingly, they are comparing her with Alex, an actress just like her yet was easily able to adjust to all of them. That, however, is what made Jane more admirable. After everything they said and do to her, she accepted all of them with an open mind, pick up the pieces she think she needed and discarded the ones that she believe was not who she is. All throughout the stress and pressure that her so called ates and kuyas inside the house put her through because they wanted her to be what they think she should be, I never even heard her complain. I never even heard her say something bad about her housemates. The other housemates wanted her to accept everything they told her but they forgot something important. – That acceptance is a two-way process. You need to learn to accept before you expect others to accept you. True acceptance doesn’t mean you will never be corrected or shown to be wrong; it simply means that it is safe to be you and no one will destroy you out of prejudice. They never really opened the door to even see the gentle person that Jane is. I even wondered if they even tried to put their self in her shoes before throwing their judgment. I’m not saying that Jane is perfect. She has her share of mistakes, shortcomings and faults. I just chose to see the person behind these faults and mistakes and accept them altogether. This season of Pinoy Big Brother probably has the biggest number of talented housemates put together in PBB history. I think they chose people with talent and beauty so that there wouldn’t be insecurities in between them even if they are mixed with people who already started to make a name or people with bigger experience. Let’s not forget, however, that PBB is not a talent show. I think the housemates should be judge not on what talent they have but who and what they are outside the comfort of their talents. With Jane Oineza, it’s not about the person she is as an actress. It’s about a teen ager who overcome the pressures and the stress without losing her character. I saw a person who continued to stand up even after getting knocked down. And watching her every day, I saw the person who is now stronger, fiercer,more confident yet still with a kind heart that sees the good in every person and the good in every situation. I see the person who continued to face the challenge even just by herself because of her loving devotion for her family and trust in God. May the powers that be continue to be with you, Jane Oineza. May you continue to keep it real and inspire more people. This is my first time writing a review about a local tv series. And it’s probably still early to do so, but I am writing this now because I can’t just let the opportunity of talking about a promising program pass. So what made Dugong Buhay different? After watching the making of this drama on youtube, I became highly interested. There were a lot of new faces. Honestly, aside from Sunshine Cruz and Ejay Falcon I don’t know the rest although there are other familiar faces. Judging from the way the story is currently going, I’d say that Dugong Buhay is a good breakthrough project for the rest of the cast. Okay, let’s get into the story. Basically the story is about a man who’ve lost a father, and his own family by the wrong doings of greedy people. He have been hurt a lot that in the process his heart have no more love to give but revenge through his enemies. Revenge that he plans to do by using his enemy’s own son which of course the enemy doesn’t have an idea (that it was his son) at all. The antagonist was someone whom from being a little kid was blinded by the thought that his father doesn’t love him and grew up being greedy trying to fill that hole in bis being or at least that’s how I see it. Dugong buhay is filled with intense moments that came from the dark pasts of the characters of the story. The fight scenes is what makes the story more intense; moments that viewers anticipates for. Like what they say, “makapigil hininga ang mga kaganapan”. But Dugong Buhay isn’t all about revenge, it’s also about being able to love despite the darkness and that’s where Elena and Isabel comes in. Simon, the one who’ve went so much pain the most is now planning his great revenge scheme against the de Lara the family who did him wrong. My heart goes for Simon. Just imagining all that he went through I can truly understand him. I can feel why he wanted revenge. And even though his methods are wrong, I don’t blame him. Just try putting yourself in his position. I guess there are wound that time don’t heal. And that’s Simon’s case. I just feel sad for the son who even without knowing anything grew up with the same hatred. This role of course is well played by Nonie Buencamino. Enrique De Lara – the spoiled rotten brat. Sorry. But there’s no other words to put it. After his mother’s death he became blinded by the thought that his father doesn’t love him. Which I don’t believe to be the case. He just lacked attention and Simons arrival didn’t help that situation. Still, I believe that it’s no reason to act the way that he did. His logic and reasons for his action was totally unreasonable and illogical. He’s greedy, selfish and I do want to break his neck for his narrow mindedness. No doubt you can say that I am very much affected by the way the young Enrique and Christian Vasquez played the role. Isabel played by Sunshine Cruz is the fragile little one. The one who always needs protecting and all that. It annoys me that she doesn’t have an idea of what her husband does. But I do understand her guilt and trying to make up for it. I guess all mothers are like her and Elena, that would do everything for their children. Elena, the mom who just wanted the best for his son. And that best is that to have his way totally different from what Simon wanted. I can imagine her worries and anxiety. How she will achieve the life that she wanted his son to live is what all of us is yet to see. I never thought Ana Capri could act so good until I saw her at Dugong Buhay. Gabriel, the son everyone in the de Lara thought was dead but is living in the hands of their enemy as Victor. He grew up believing that he must take revenge to his real family (which he have no idea at all) because they killed his mother and brother. His father (Simon) taught him to fill his heart with nothing but hatred for the de Laras. Moreover, he saw himself first hand at how cruel Enrique can be against his enemy that his resolve of taking justice at his hands became more intense. Despite all of this, he is a very loving son to his mom Elena, even if he knew that she is not his real mom. Now taking all this in, I am excited and anxious to know how he will react when he finds the truth. Ejay Falcon’s acting is truly commendable. He can deliver the emotions even without dialogues. Would he be torn when he finds out the truth? That is what we all should look forward to. Sandy de Guzman, son of Pablo (Lito Pimentel) who now works for the de Lara and became curious when she heard the story from her father. However his father still have secrets she doesn’t know. Yam Concepcion is like a breath of fresh air in this series. New face but superb acting skills. I love how Sandy acts and reacts into the situations she’s brought into. But what I’m truly looking forward to is the love triangle between her and the two de Lara sons, Victor and Raphael. Honestly though I am all for Sandy and Victor. The tandem I termed as “SaVic”. Effortless chemistry between her and Victor. Well, it’s too early to tell. I guess, we just have to find out. Raphael, another spoiled brat like his dad. I hope he won’t end up the same. I am looking forward to how he would act and react once he learn about the bad deeds of his father. Would that make him do the same? Or would it turn him against his own father? And one more thing, how would he feel if he learn that Victor is his brother? Adding to rising love triangle… Boy, this is messy. Arjo Atayde is the one who plays this role. I don’t like him at first, but that point when he was yelling so much at Victor then Sandy came in? That’s when I became convince that he know what he is doing. Trisha played by Jed Montero, you’re pretty but I’m sorry am really all for “Savic” . But a lot of people can probably relate to where she’s coming from, yours truly included. I wonder if there’s a way she’ll end up with Raphael. But then there’s Tope. From Dugong Buhay I’ve noticed that Ketchup Eusebio is a good actor. The light moments he and Trisha gives balance the story out. I hope he’ll be given a greater part as the story goes because it’s a waste not to see him act all serious. And there’s also Alex de Lara who at this point is probably hated by anyone watching the show. Well, that just goes to show that Ronnie Quizon is playing is part well. I’ve seen a lot of tv series. Most if them started good but went bad in the middle throughout the end. I hope that doesn’t happen with Dugong Buhay. I really am anticipating what will happened next. It kind of remind me of my favorite revenge story of all time, the Japanese drama, “Maou”. The only difference is that Dugong Buhay have a touch of love story. And for the first time, I don’t mind if “the Filipino drama can’t live without a love story in it” because honestly, next to the fight scenes, the budding romance is what I look forward to.